We value the voice of our students and offer extensive leadership opportunities, including College and Middle School Captains, Sport, Drama, Art, Special Events and House Captains, and an active Student Representative Council (SRC). There are many opportunities for students to gain and show skills in leadership. From the School Captains to SRC students can grow as young people. 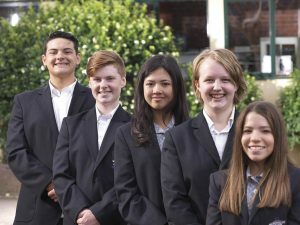 There is also an expectation that all VCE students are role models for the younger members of the school community.